I sat down in front of my MacBook at 12:57 PM on Tuesday afternoon to eat my lunch while watching the news from the Apple event. I was hoping that Apple would have a live stream of the keynote so that I could watch it in the living room with the Apple TV. But, instead I “settled” on watching TWiT’s live coverage with Leo Laporte, Sarah Lane, Scott Bourne, and Chris Breen while following The Verge’s live blog of the event. It wasn’t quite as good as watching the actual keynote live but the coverage from both The Verge and TWiT was a joy to watch. Both sites have become exceedingly good at covering this sort of event with up to the minute coverage of the announcements. I spent the past few days unpacking the event in my brain and trying to understand what was actually important about the announcements. I’ve heard grumblings on Twitter about how “boring” this event was but I think this was one of the more important Apple keynotes in the past couple of years. And, I think that Apple has laid the groundwork for another very successful holiday season. The iPhone 5c is what everyone is claiming to be Apple’s response to the “inexpensive iPhone problem.” And certainly the iPhone 5c is an inexpensive iPhone, but it’s more than that. The 5c is also a departure from their usual pattern. Every year Apple would release a new iPhone at the same $199 price point and drop the price of last years model. But, this year something different happened. They released a brand new model targeted at the midrange of the market that features a flashy new colored casing at a price point lower than any new iPhone has ever had. With the iPod lineup, Apple introduced their device at the high-end and slowly moved their way to lower price points until they eventually took over the market. Apple did something similar this time around. Although Cell phone subsidies has helped them get to lower price points at a much quicker rate, their strategy hasn’t changed much. Apple just released the iPhone nano and if you thought Apple was a dominant force in the cell phone industry before, wait until you start seeing the new iPhone 5c, everywhere. Apple is going to sell a lot of these — I know Apple sells a lot of every iPhone they’ve released, but they’re going to sell a lot of these. Personally, I’m a bit skeptical about the durability of the back casing. I remember all of the cracks I had in the back of my iPhone 3GS in its two years of use, and I’m not one to drop my phone very often (or ever). I’m hopeful that the new manufacturing process they’ve developed — building the case from a single, seamless piece of polycarbonate — will increase its durability enough for it to hold up better than the iPhone 3GS did. The phone comes in five colors and Apple has also announced a brand new case for customers who are as weary as I am about the durability of the back casing. I have heard mixed reviews about the new cases. When I was watching TWiT’s coverage of the event, Sarah Lane didn’t seem very enthusiastic about their design. But in casual conversations with friends that don’t live and breathe tech news, they seemed much more receptive to it. I think they’re going to be very popular and I expect a lot of copycat case designs to start showing up in various cell phone accessory stores. As far as internals go, the iPhone 5c is very similar to last year’s iPhone 5. The same 4-inch Retina display, A6 chip, and 8-megapixel camera. The front facing camera has seen some improvements and now records 720p HD video. Apple started taking preorders for the iPhone 5c this morning and the device will be available in stores next friday, September 20 with prices starting at $99 with a 2-year contract. It’s designed specifically to measure motion data from the accelerometer, gyroscope, and compass — a task that would normally fall to the A7 chip. But M7 is much more efficient at it. Now fitness apps that track physical activity can access that data from the M7 coprocessor without constantly engaging the A7 chip. So they require less battery power. I think the folks at Fitbit should be a little worried about their hardware business right about now. But, there’s certainly room for Fitbit’s developers to build a best-in-class application to make use of the data coming out of the M7 coprocessor. As long as Apple didn’t give anyone a head-start, I’d put my money on Fitbit being the company with the best M7-based fitness application when they inevitably start showing up in the App Store. The camera in the iPhone 5s has seen some major improvements. Although the camera is “only” 8-megapixels, the size of those pixels on the sensor are much larger than previous iPhone models. The bigger the pixels, the more light they can capture, which results in better picture quality. The camera also features a new burst mode, auto image stabilization, slow-motion video recording, and what Apple is calling “True Tone Flash.” Two LED flashes that when working together with software will more accurately represent color when taking flash photographs. The landmark feature of the iPhone 5s is Touch ID — a fingerprint sensor built into the home button that can be used in place of your passcode when unlocking the phone or your password when making purchases in iTunes or the App Store. I’m less excited about this feature than others. It sounds neat, but I’m not sure it’s that much better than just inputting your password occasionally. And I don’t even have a passcode lock on my iPhone, so any time I could potentially save from Touch ID is limited to how often I purchase items in the App Store or iTunes (which isn’t all that often). Don’t get me wrong, it’s a cool feature and it’ll get people talking, but I’m just not sure how practical it will actually be in day to day use. This is the iPhone I’ve been wait for, though. I purchase a new iPhone every two years and I’m reaching the end of my iPhone 4Ss lifecycle. It’s served me well but it’s time for me to move on and ship off my old device to Gazelle. As an aside, this is the first time I’ve ever used Gazelle and, although all I’ve done is confirm that I’ll be sending my phone to them, I’ve been very happy with the process so far. I’ll be receiving my prepaid box in the mail in a few days and once I get my iPhone 5s in the mail the old iPhone will be on it’s way to Gazelle. I’ll be ordering the space gray iPhone 5s with 32GB of storage when they go on sale September 20. My girlfriend has been going back and forth between the white and silver model and the white and gold model. I have a feeling she’ll end up with white and silver but the gold model does look much nicer than I thought it would. Apple has a great lineup going into the holidays and I expect they’ll continue their trend of successful fourth quarters. 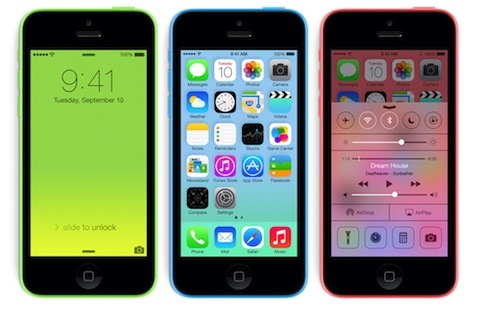 The iPhone 5c is a much more important step than many think it is. We all know that the iPod nano is wildly successful, and I believe the iPhone 5c will reach similar levels of success when compared to other iPhone models. I’m more excited about the new camera features on the iPhone 5s than anything else. The best camera is the one you have with you and I’d like for that camera to be the best one available. When Phil Schiller was showing photos taken with the camera on the iPhone 5s one of the writers for The Verge wrote: “the iPhone is still the smartphone camera to beat, if these photos are representative.” Apple has even published a page on their website showing off photos taken on the 5s. And, they do look stunning.